New York Partner Jennifer W. Yuen will speak at the Big Nasty Claims Conference, held at New York Law School on September 20th. 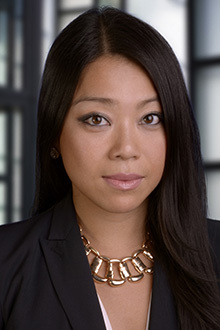 Ms. Yuen will be a panelist for the conference’s opening presentation and join a group of prestigious industry professionals for a talk entitled “Loss Issues & Trends: Setting the Stage” which will focus on mass torts and class actions, their increase in frequency, severity, and complexity each year, and more. The presentation will also examine the current trends in size and types of Big Nasty Claims, and touch on the keys to success in managing them, including state court actions and federal multidistrict litigation in the areas of pharmaceutical and medical products liability, pathogenic bacteria outbreaks, nosocomial hospital infections, food contamination, large-scale explosions and accidents, and other mass torts. The discussion will begin at 1:15 p.m. following the keynote address.